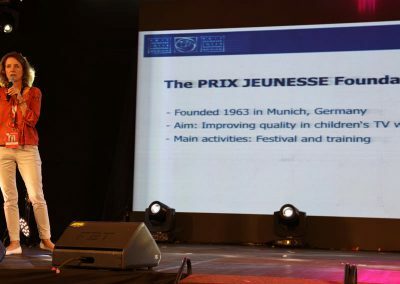 Prix Jeunesse International’s festival and project coordinator, Ms. Kirsten Schneid, came all the way from Munich, Germany to hold her talk session “Prix Jeunesse Suitcase” on the first day of the 2nd Southeast Asia Video Festival for Children. 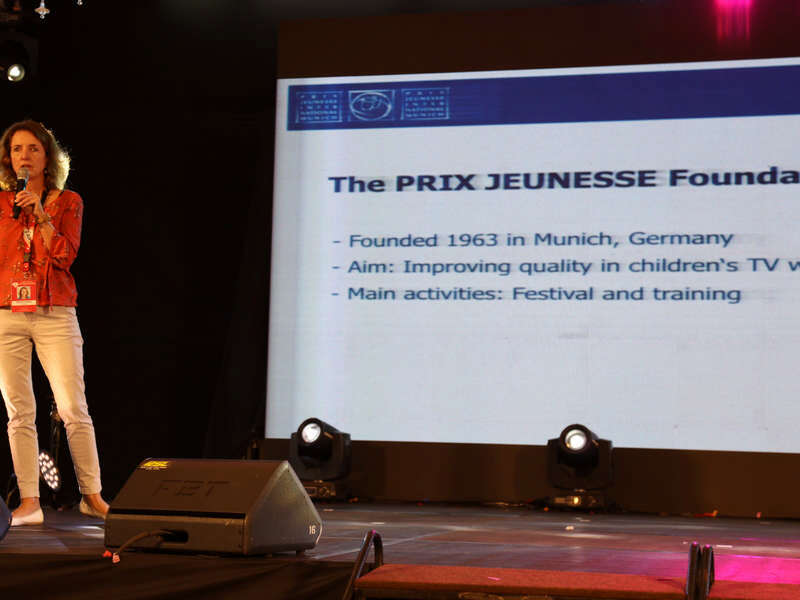 Having joined the Prix Jeunesse Foundatin in 1995, Ms. Kirsten Schneid has since been regularly promoting quality children’s television and educating children’s TV producers on the makings of such films. 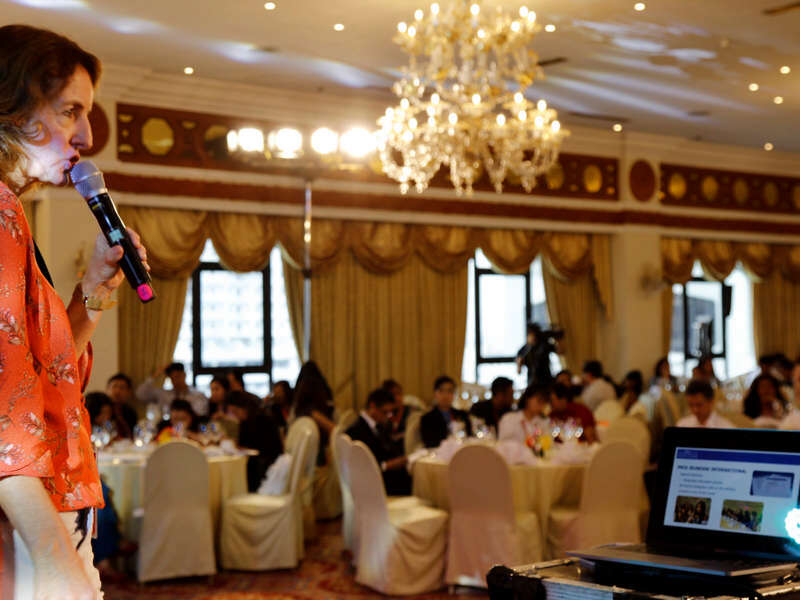 Her work as an organizer of Prix Jeunesse International continues to have a positive impact on the proliferation of well-made children’s TV programs. 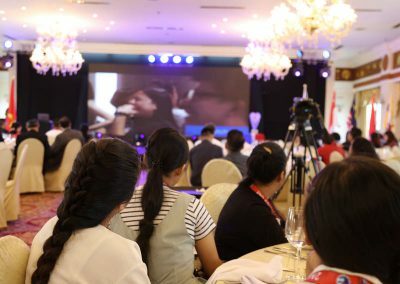 After introducing the Prix Jeunesse International, which is the most highly esteemed film festival for children’s TV, she presented a number of films hailing from the aforementioned festival. Through “Prix Jeunesse Suitcase,” Ms. Schneid was able to illustrate what high-quality children’s films look like. 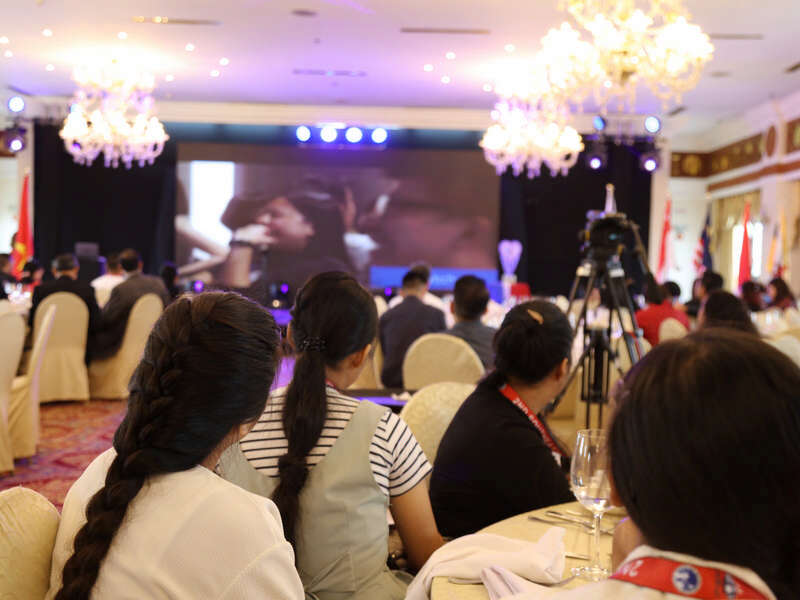 Ms. Schneid actively engaged the youth-filled audience between film screenings, asking them thought-provoking questions and urging them to voice out their opinions regarding the films they watched. She then responded by imparting her own insights on the films, and sharing her knowledge and experience in the children’s television industry.